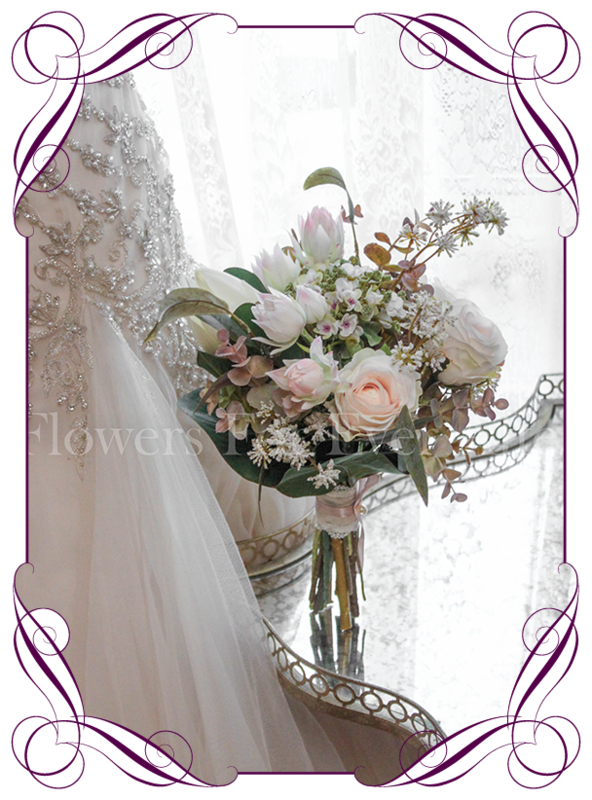 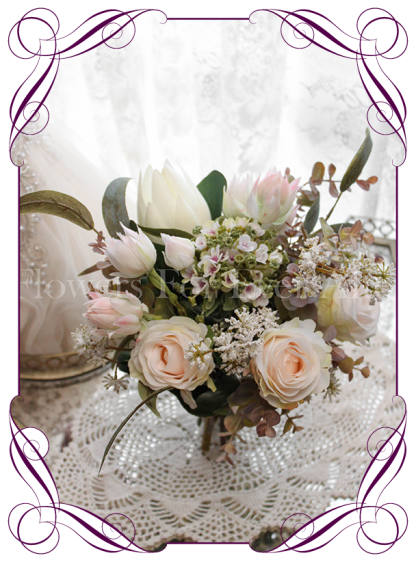 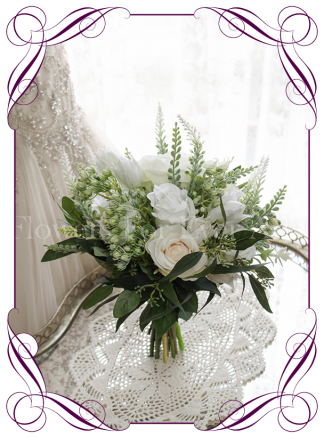 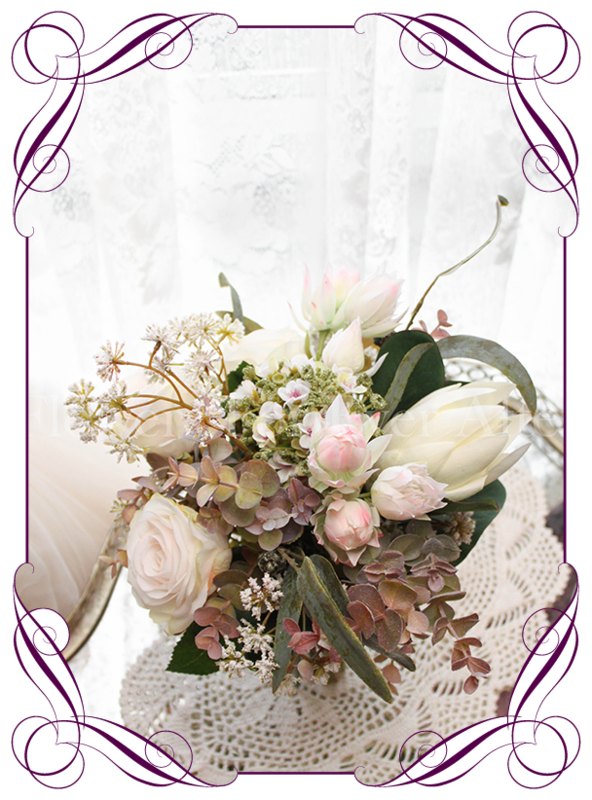 A delicate romantic posy of native and traditional blooms. 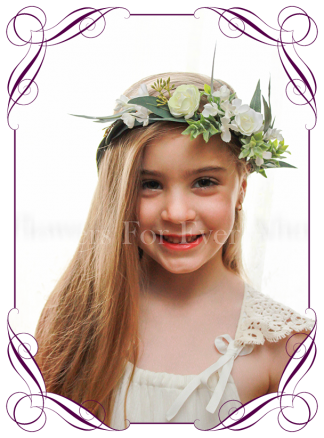 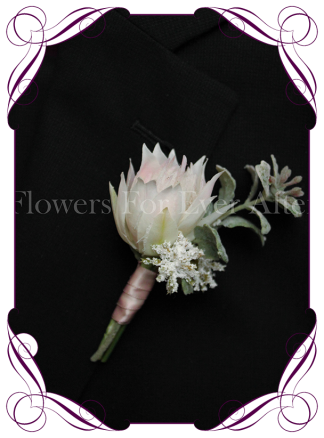 Will work perfectly with gowns in pinks, greens, navy, mauve, brown, apricot, champagne, blush, sage, mushroom, burgundy plum, grey/silver or black. 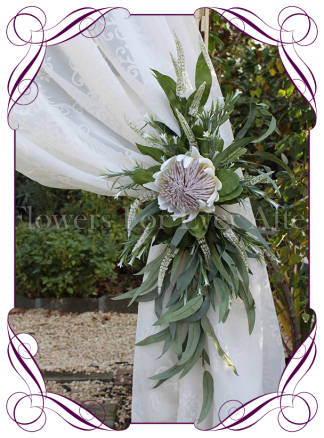 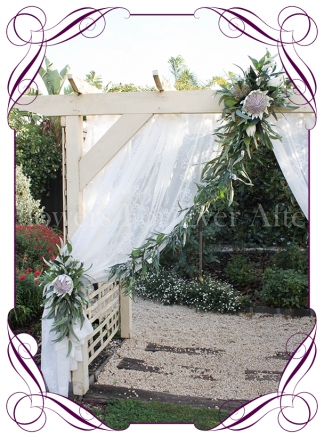 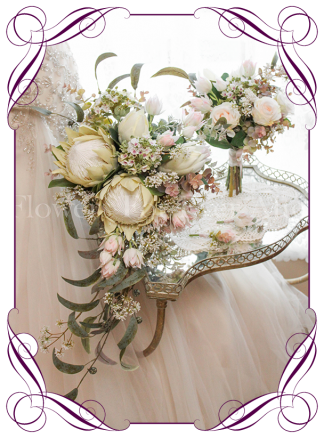 Features an ivory protea bud, light pink blushing bride protea, snowball, shallot spray, blush tinted ivory roses, dusty pink blue gum, and eucalyptus foliage. 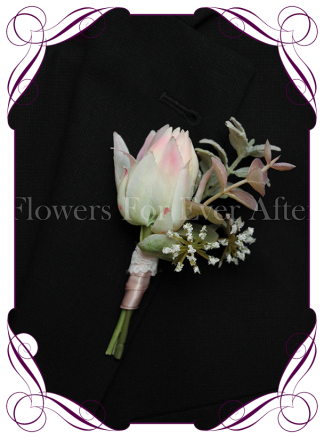 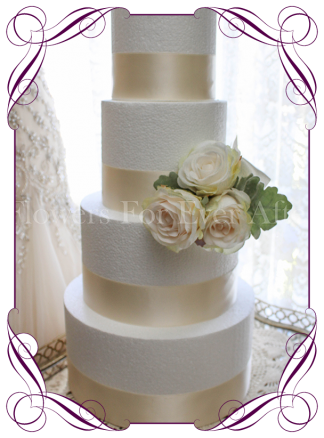 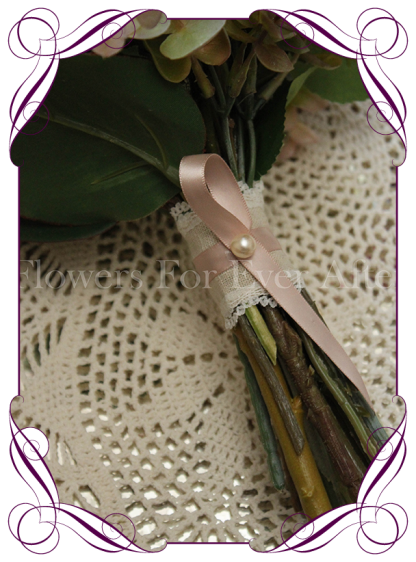 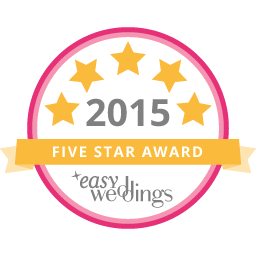 Bouquet handle finished in lace edged linen with a dusty pink satin tie and pearl stud. 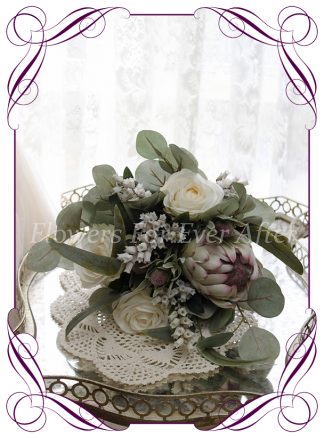 Measures approximately 22 – 23cm (8.5 inches) across.